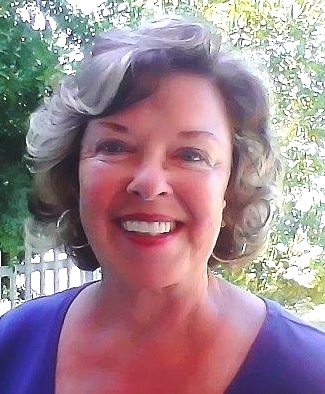 Louella Nelson’s writing credits include the reissued best-selling novel Mail-Order Mate and Emerald Fortune; the 2014 Amazon best-selling short story “Cora Lee,” a romantic romp in space called “Atlas Shrugged Again,” and the romance “Falling for the Prosecutor“; as well as poetry and scholarly works for the literary journals Onyx and Calliope. A former magazine editor, Louella is also published extensively in nonfiction: Her articles, features, technical reports, advertising materials, and photography have won industry awards. A professional editor and writer’s mentor, she has been editing and writing since the 80’s and teaching fiction since the 1990’s. Many of her clients are now agented, multi-published, and award-winning and best-selling writers. Lou was awarded the Distinguished Instructor Award by the University of California, Irvine Extension. She also teaches at Orange Coast College. She received her M.A. in English with departmental honors from California State University Long Beach and a B.A. with honors from Chapman University in English with an emphasis in creative writing. If you have interest in writing classes, consultations about your project, or developmental editing, send a separate email via the Contact Me link at right, indicating your interest in these or other craft how-to writing courses, seminars, books, and services. all those need a connect-in set up). 6th century and will have even belonged to a king. Since I am “retired” and only do volunteer teaching and speaking now, I get lots of time to read but find I am usually writing. Right now I am enjoying re-reading Magnificent Obsession by Dr. Lloyd C. Douglas. Its pages are yellowed with a somewhat tattered dust jacket on it but inside the hard cover is my grandmother’s name. She was a reader and whatever money she had left after paying the family’s bills was spent on books. I am fortunate to have many of her books to read and while I read, I imagine her turning those same pages. I put Cry Wolf on my Bookshelf on my website. Thanks for reading my book (Cry Wolf)! I’m reading one of yours (Mail-Order Mate). Love it! I went on your website and then was surprised when I saw my book on your list of Kindle books you were reading. We have similar backgrounds. I was a newspaper reporter, then mag. editor and then teacher and freelancer. We can’t help ourselves, can we? Writing is in our blood; reading is what we do once we put our pens down. Glad you’re enjoying Mail-Order Mate. It’s close to my heart. Thanks Louella, for taking time to respond. I appreciate it and your mentioning my book on your site. I will do the same for you. I love your line “Reading is what we do when we put our pens down.” After delivering an all-day seminar on Plotting & Character Arc on Saturday, I just wanted to veg on Sunday so I read Beautiful Ruins, a yummy treat.